Of late Sony has been on a roll. It has released Android smartphones thick and fast and to its credit it is one of the few OEMs to have released Android 4.0 updates for its devices. That said, all of the newly launched Sony devices, including the Xperia P, had been released on Android 2.3 Gingerbread, though it now has received a update to Android 4.0 Ice Cream Sandwich. The Xperia P is a rather unique offering and, on paper, it is well equipped to handle anything competing brands are offering at the price point. Let’s see if it has what it takes to garner a recommendation from us. Read on to find out all the juicy details. At first brush, one will be hard pressed to differentiate the Xperia P from its elder sibling the Xperia S. They look very similar, in fact for some, the similarities between both the devices defeats the point of the exorbitant price tag of the Xperia S. But as always, there are caveats to the likeness of both the devices. For starters, the Xperia P sports a slightly smaller display measuring at 4-inches rather than the 4.3-inch one on the Xperia S. This lends the device a more pleasing and comfortable form factor. 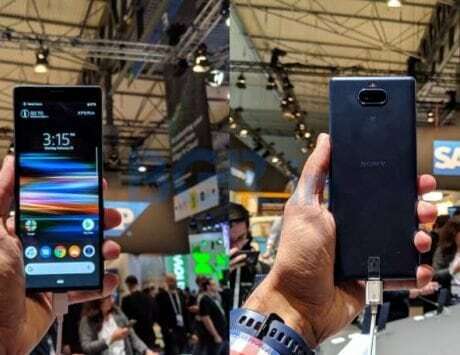 This time around Sony has actually embedded the capacitive Android keys on the Transparent Element that the company has introduced in the Xperia NXT range of smartphones. This was rather stinging critique of the Xperia S as the capacitive keys were actually placed above the Transparent Element, which was unituitive. At 10.5mm, the Xperia P does not compete on slenderness, but rather it prefers to compete in terms of in-hand feel, which is indeed very premium. Making matters even more comfortable is the 120gram weight, which is neither obnoxiously super-light nor very hefty in an ungainly manner. 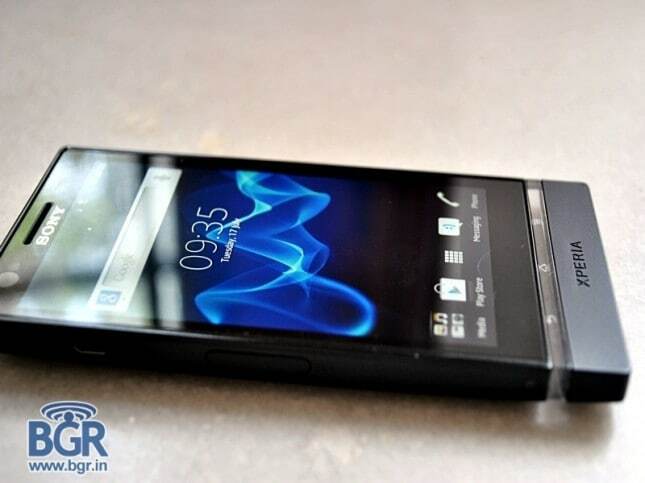 On the back, Sony uses the same high-end matte plastic as the Xperia S. We also get an 8-megapixel camera and a flash along with the erstwhile ORB branding from Sony Ericsson. Sony has tweaked the taper on the back cover of the Xperia P so very slightly, but in real use it makes a world of difference in spite of Sony maintaining the hard edges on the sides. The left is home to the microSIM slot and the microHDMI port, however the absence of a microSD card slot can be a hindrance to people who like to have expandable memory, though the in-built 16GB internal memory should be ample for most. The right edge houses the power key, volume rockers and camera shutter button. The top solely houses the 3.5mm port and bottom is purely flat. Apart from this, the fascia is also home to the suite of sensors and the front facing camera. One downside of the design is that the battery is locked in and not user removable, however these days people are getting used to this trend especially with the popularity of the iPhone, so this isn’t a deal breaker, however it remains a nice feature to have. 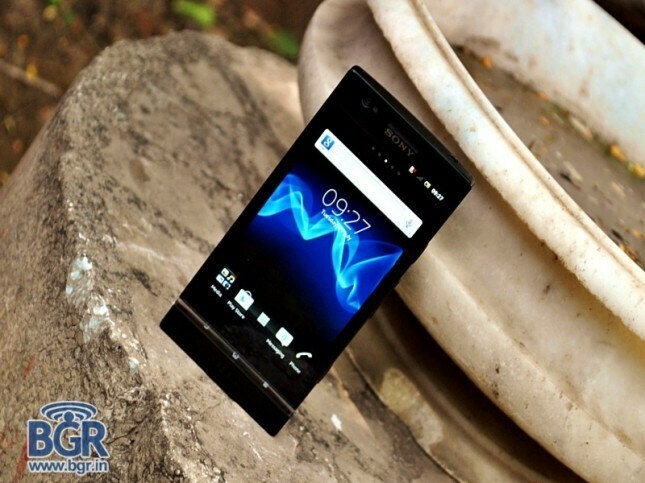 Hardware wise, the Xperia P offers exactly what one would expect of a smartphone in the sub-Rs 25,000 price bracket. A dual-core 1GHz STEricsson NovaThor processor powers the device, the same one as the Xperia sola and the Xperia U. Additionally, the device also comes with a Mali 400 GPU, the very same one as the Samsung Galaxy S II. Sony also gives us 1GB of RAM, which should hold the device in good stead even under the watch of a power user. 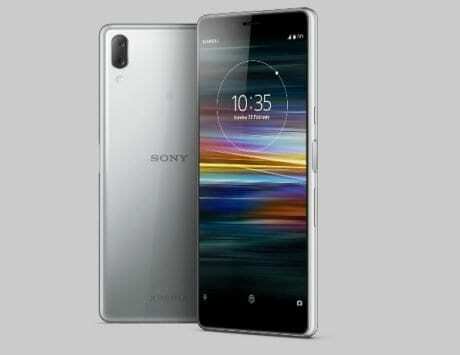 Sony has done something interesting with the display on the Xperia P. While, the 4-inch display does not boast a 720p resolution as it only provides a qHD resolution of 960×540 pixels, Sony touts a new display technology it calls ‘White Magic’. In essence, with this display, Sony claims to provide the best in class picture clarity under direct sunlight. Sony manages to achieve this by adding an additional ‘white’ pixel for each and every ‘red’ and ‘blue’ pixel. This converts to a RBGW sub-pixel layout. Don’t fret; this is not the dreaded Pentile arrangement, which has a RGBG sub-pixel layout. This is actually something we will appreciate as boy this technology works very well under direct sunlight. Previously, LG’s Nova display panels have done a very good job, but the ‘White Magic’ technology just steps up the game to another level. Another interesting bit here is that the brightness level of the Sony Xperia P goes all the way up to 935 nits, which is quite incredible. 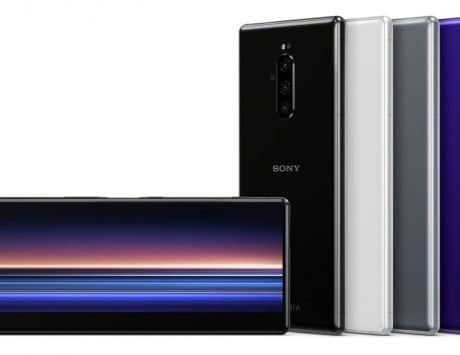 The display is also quite impressive in normal light and it provides superlative viewing angles thanks to IPS technology that Sony uses in the 4-inch display. The 8-megapixel camera on the Xperia P features an f/2.4 aperture and it is supplemented by a flash. In our testing, there was a very interesting revelation. The camera produced better images than the 12-megapixel monster on the Xperia S. Admittedly, we had noted in our Xperia S review that the image quality was underwhelming in comparison to the HTC One X or the iPhone 4S, but the fact that the mid-range Xperia P was able to outperform the higher end Xperia S in terms of image quality was quite surprising. On the whole, the image quality of the camera on the Xperia P was impressive. The images reproduced provided detailed crops and were relatively noise free. Sony even graciously provided a dedicated shutter button and the flash also performed admirably. Even in terms of video quality, the Xperia P turned out to be a very capable shooter. The video quality was generally jitter free and was generally smooth. 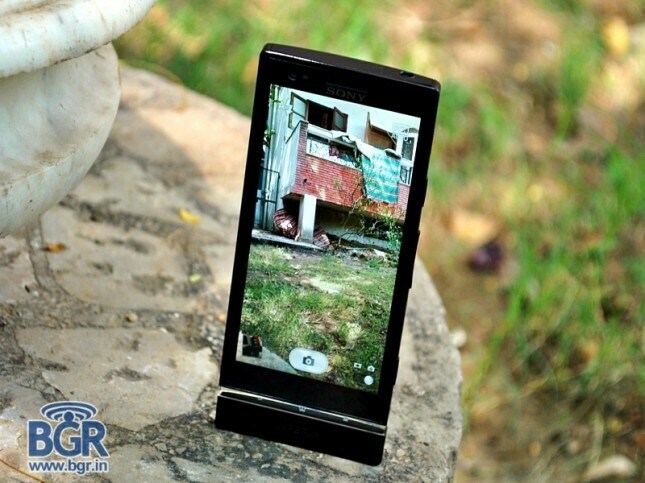 We have no qualms claiming that the Xperia P has the best photography capabilities in a smartphone south of Rs 25,000. Of course, the camera works in tandem with the software suite, and Sony does a pretty good job in that regard. We will talk more about the camera UI in software section. Sony is known for providing one of the lighter Android skins in the market and the same holds true for the Xperia P. The Android UI on the Xperia P is the same as the one on the Xperia S. It is light is and nimble and it is generally not intrusive like Samsung’s TouchWiz UX and HTC’s Sense UI. One gripe that we have with the UI is that unlike other custom skins Sony has avoided customizing the pull down notifications menu of Android 4.0 with useful options like Wi-Fi controls, Bluetooth and brightness settings. Talking of brightness, Sony strangely does not offer an adaptive auto brightness option at all. The brightness can be set manually to level or can be set to pre-defined ‘bright modes’ and ‘power saver modes’, but one cannot set a minimum auto brightness level. First, we assumed that this feature was disabled by default, but it turned out it was absent altogether. 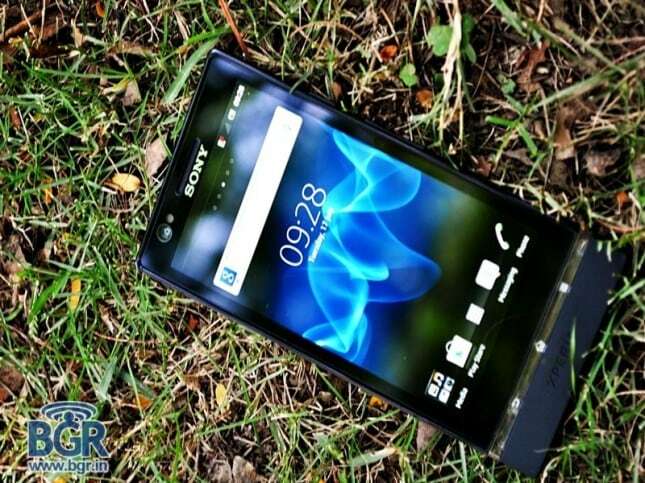 the Xperia NXT series of smartphones, we can assure you that the company can do much better. A classic example of this is the Sony Music Unlimited icon in the app drawer. Make no mistake; this is not an app, but rather a glorified web link for the sign up page for the service. Apart from this, Sony adds a its custom widgets that genuinely look good and it also adds a floating animation for the leap view that gets activated by pinching the homescreen. Sony adds its Timescape widget for the integration of various social networks such as Twitter and Facebook, but in our experience one will do better if one used the standalone apps for these social networks as the app neither provides complete functionality and it also displays the information in a very cluttered way. Sony has done a very good job of customizing the music player though it has not changed a lot from when the device was running Gingerbread. It adds an attractive UI on top, which display album art and other controls for the song. In addition to this, Sony arms the Xperia P with its own xLoud audio equalizer, which unlike Beats on HTC devices actually provides some sonic articulation, though to a very limited extent. What we really liked about xLoud was that Sony was offering a fully customizable EQ, something that is not offered by HTC. Sony also equips the Xperia P with NFC and also provides a couple of NFC smart tags in the retail package. As with the Xperia sola, one can associate a command to a smart tag and enable the action by just tapping the smart tag on the device. This works as advertised, but currently, we find the use of the technology to be quite limited, so its absence will not be a deal breaker. The camera UI on the Xperia P was arranged very logically and the device offered a plethora of options like 3D panorama, ISO customizations and more. But these days HTC has created a better camera UI that integrates the still and video shutter buttons in one unified UI, enabling simultaneous capture. This is something we will like to see in future Sony devices. handily advise users to switch to Chrome as it is by far the best mobile web browser. We even get the standard Ice Cream Sandwich multi-tasking which is a marked improvement over Android Gingerbread. Unfortunately, as Sony still uses the legacy control scheme one has to press and hold the home button to enable it and from there one can just swipe away applications into oblivion. The virtual keyboard on the Xperia P is one of the better ones we have seen recently. It has nice auto-correct, which is not overly aggressive like the SwiftKey keyboard and it is well laid out, unlike the keyboard on HTC smartphones running the Sense UI. In fact, we’d argue that it is the closest iPhone like on any Android device, minus of course the Nexus smartphones. 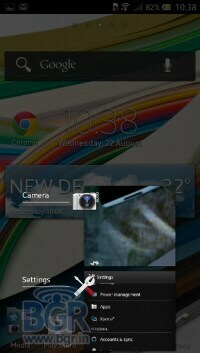 The keyboard on the Xperia P even supports ‘Hinglish’ which is immensely useful in daily usage. 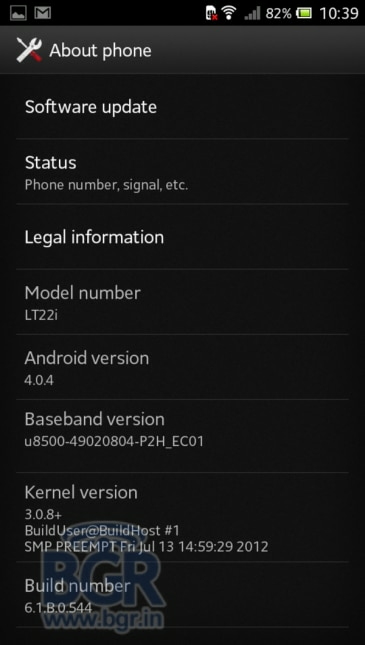 You can get more information on the Ice Cream Sandwich functionality of the Xperia P in our detailed hands-on post. With a 1GHz dual-core STEricsson NovaThor processor and 1GB of RAM powering the Xperia P, it is rather reasonable to expect a smooth user experience. 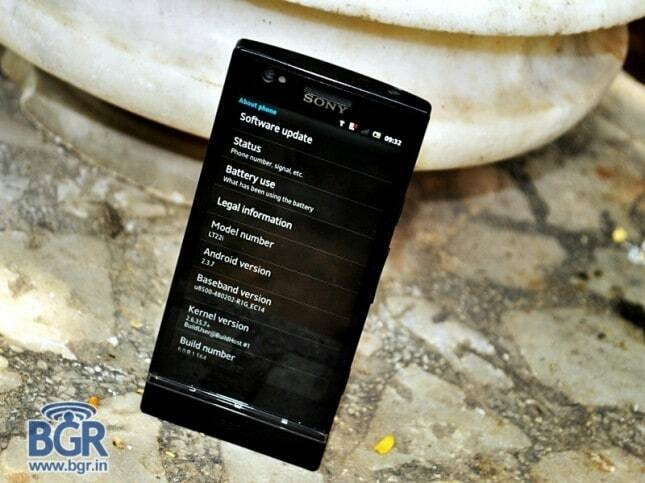 And the Sony Xperia P delivers that with ease. Unlike dual-core devices from competing brands like Samsung, HTC, LG and Motorola, Sony equips its smartphones with the lightest skinned Android experience from a top draw brand, which results in a more lag free experience than the competition. We can argue that in the sub-Rs 25,000-price bracket the Xperia P easily delivers the one of smoothest Android experiences that we have seen so far. The device that perhaps eclipses the Xperia P in terms of pure performance would be the venerable Samsung Galaxy Nexus, which has not been launched in the country. As far as benchmarks were concerned, the Xperia P was very competitive with other dual-core devices including the Samsung Galaxy S II and its sibling the Xperia sola. There was nothing shocking about the results, except for the fact we found that webpage load times were a tad faster on the Xperia P than the Xperia sola. 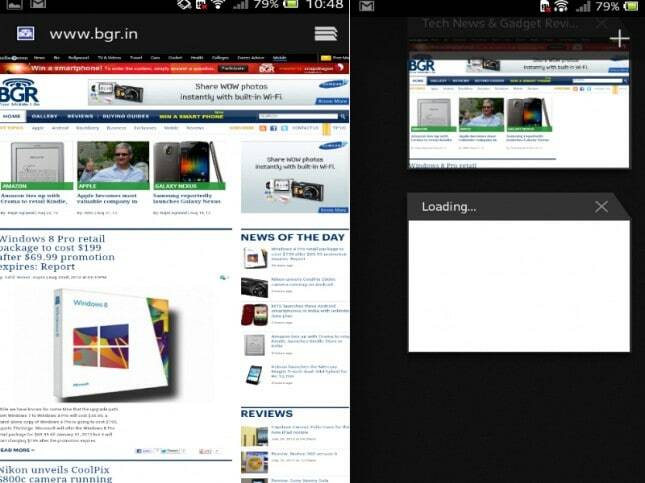 In the Rightware Browsermark test, we compared the Xperia P with the Samsung Galaxy S II (However running Android 2.3 Gingerbread). While the Galaxy S II still managed a higher score of 72869, the Xperia P came with in striking distance with a score of 67249. One has to admit that with the S II has a processor with a higher clock speed and the difference in performance will be negligible. The battery life was actually quite impressive on the Xperia P and it coasted through the day with us making our usual round of calls, a bit of web browsing, music playback, bit of photography, and a lot of web browsing. The cool bit here is that we noticed that the battery life in fact improved a tad after the update to Ice Cream Sandwich. Without really rambling about we can clearly give the Xperia P our two thumbs up. The synergy of a languid and beautiful industrial design, a non-intrusive Android UI, impressive display and silky performance make the Xperia P perhaps the best Android south of Rs 25,000. 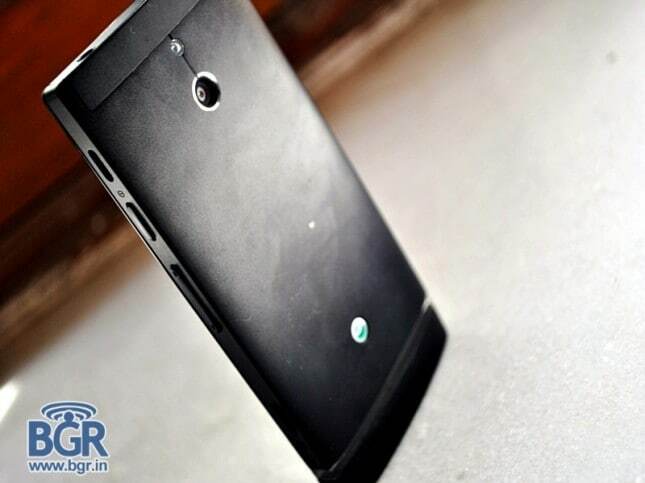 No other, smartphone under Rs 25,000 can boast such a formidable combination. And mind you, it also does have a capable camera and offers decent battery life. While the phone did not ship with Android 4.0 Ice Cream Sandwich at launch, now that it has ICS, we’d rather handily recommend this phone because of its all-round capabilities. The only real downer is the lack of a microSD card slot, however the phone does come with 16GB of internal memory.